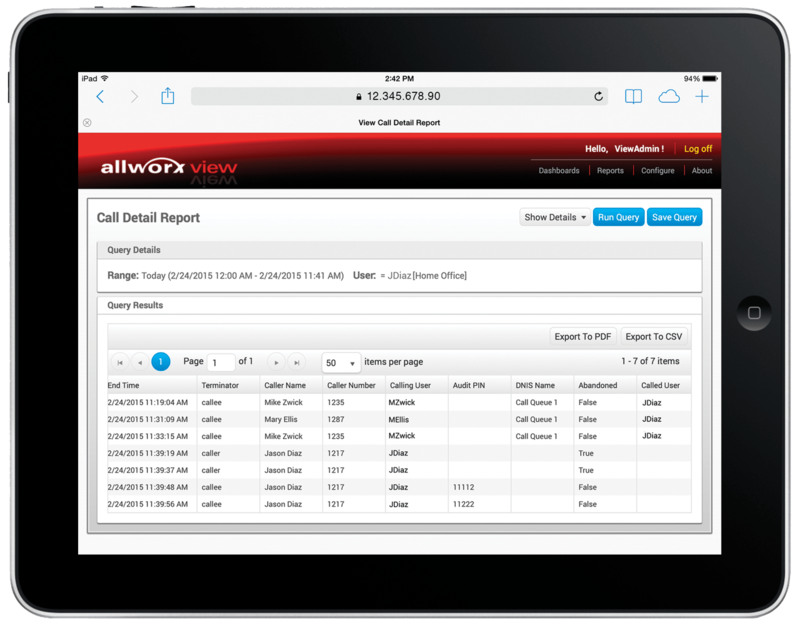 Get comprehensive historical call activity reports with Allworx View and stay on top of call center performance with Allworx View ACD. Track outbound call volume by individual agents or employees. 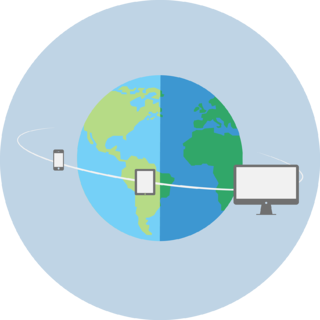 Track inbound call volume by geographic areas or time periods to identify trends. Measure incoming calls to specific DIDs associated with advertising campaigns. Identify unmet staffing needs and areas to reduce telecom costs. Project queue and agent metrics on a large monitor for call center teams. Create, save, and share call activity reports on demand or auto-schedule them for email distribution. Choose from seven intuitive call activity report templates with advanced data filters. Export call activity reports to PDF or CSV files. Manage the information shared based on each user’s permission level. 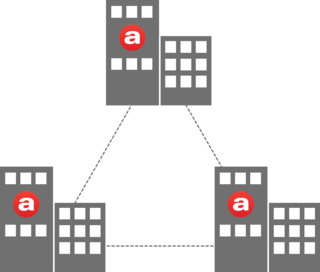 Stay on top of queues and agent performance in real time. Customize the dashboard using intuitive graphical charts, adjustable font sizes, alarm display options, and more. Create as many dashboards as you need with full access control. 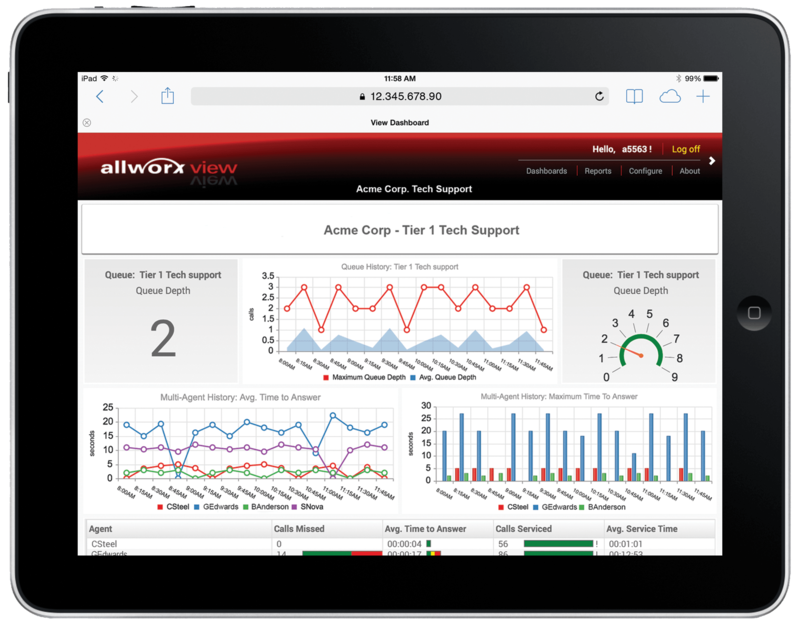 Access reports and dashboards via any web or mobile browsers on any device. Track call activity data for single- or multi-site Allworx deployments. Or perhaps you have an older Allworx system (6x12, 6x, 48x, or 24x) you’re looking to upgrade? 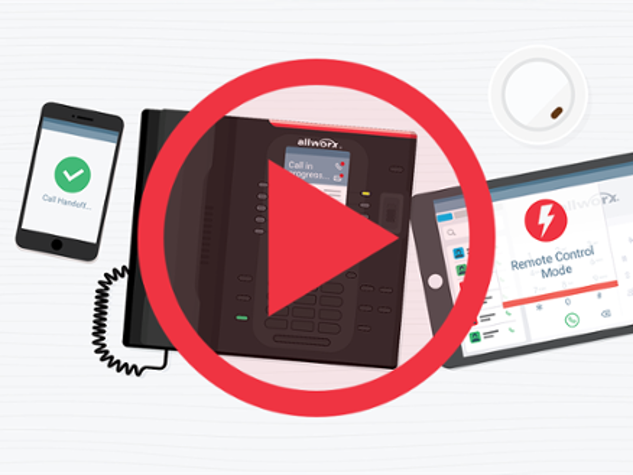 Trade in for a brand new Connect system at a price that’s easy on the wallet.